It is my first blog in SCN on simple logistics to keep update you such a small topic today on Business partner how it works. So lets catch up everything in Simple logistics …never ever give up…Just i want to to share some of breathed knowledge on HANA. Except PA20/PA30 all T.codes are removed related to customers (XD01/VD01/XK01 Etc). Still we have an option to store the BP tables in both places (KNA1/KNB1/KNVV) and BUT100/BUT000. The reason being is there is financial service functionality in FI and it HANA is not completely fledged hence ECC customer tables are required…where is the setting…Lets look into config below…. 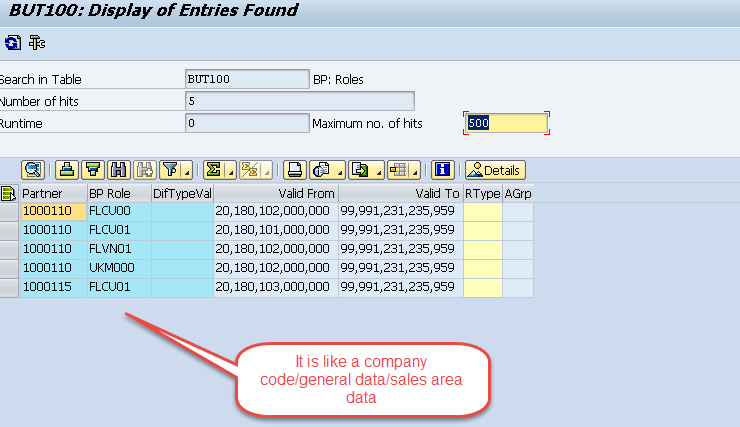 If you activate Customer based option then the customer details will be updated in ECC tables otherwise it will be only in HANA tables. Account group- There is no account group function in HANA …But how system is controlling Number ranges or Fields (Display/req/Suppress)??? 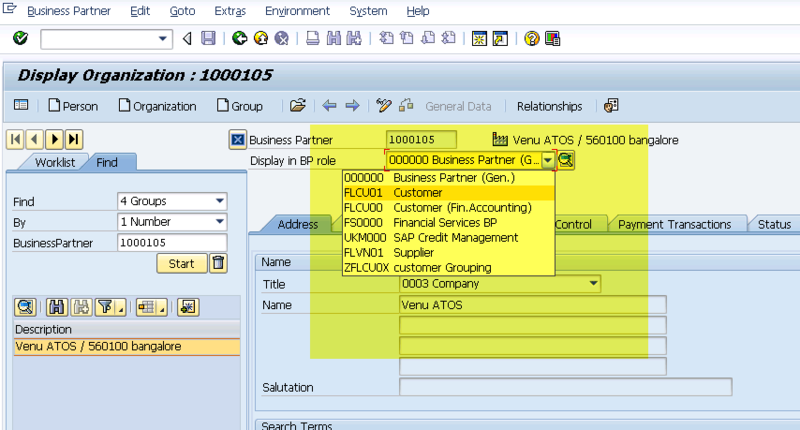 If account group is not available in HANA then why assign the account group ?? My Clarification–Normally we can maintain BP roles while creating the customers and at the same time will assign grouping option. 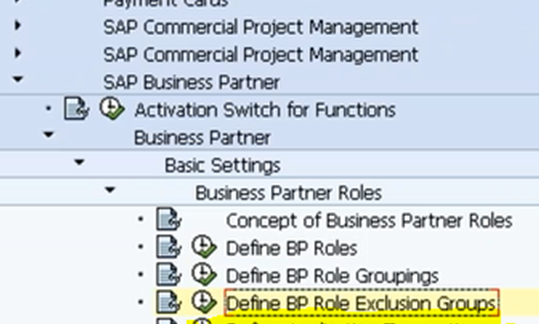 Keep in Mind-In BP Role- we define BP Role Cate-and we assign Grouping to BP role category. 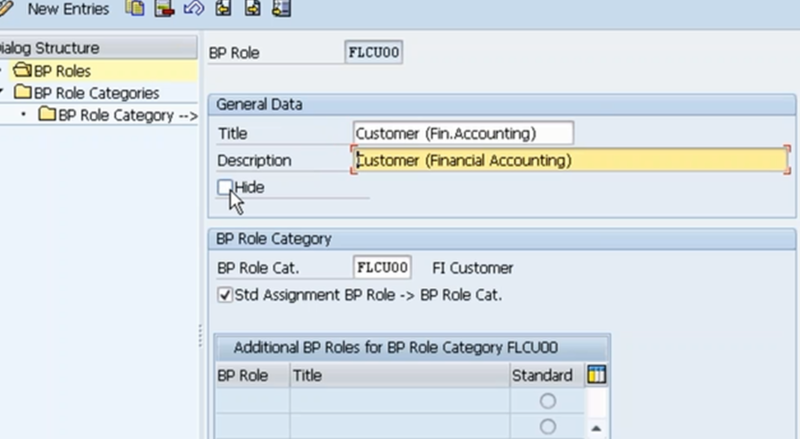 Here we assign BP Role category to BP Role…. What is use of HIDE-if we activate this check box we cant see the BP roles in BP T.code ..it will not be visible. Grouping can done based on role category not on BP role. What is the position ? The number of position controls where the BP role should be visible in BP. If you keep 1 then it appears on the top of BP roles. BP View – It is just view of BP for specific BP roles. Normally we create BP Organisation/Group and persons…but if we one module consultants wont like creating sales organisation …then below is the complete control.. Here we can assign BP role category to Grouping. Suppose if you dont want specific role for grouping then we can assign specific bp roles…bz we need not delete. What is application transactions ? We can control fields by using 4 methods IN HANA..
Last but not least —We have to Make CVI configuration to control the same partner number and we have to check CVI object is activated or not SWF5. Why Account group ?? 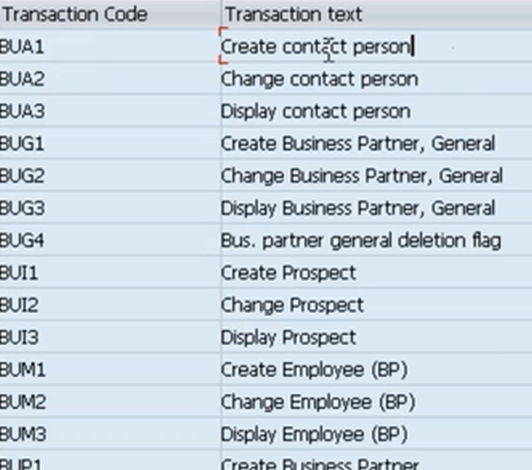 while migration project system should understand this ECC customer is supposed to be specific BP roles Role…. Please put your doubts as it will be better to me as well….I will be back with creation of one time customer in HANA…. Great venue, very useful …. for onetime customer, you just need to have a new grouping in BP, and link it with CPD account group in customer/vendor integration. it will work.